Get the help you need. Whether you've experienced flooding due to plumbing failure or natural causes, we can help get your home restored quickly and effectively. At Illinois Water & Fire Restoration, we know water damage claims increase substantially if prompt action is not taken to contain the damage. That's why we are on call 24 hours a day, 7 days a week, 365 days a year. Our quick response reduces your suffering and saves you money. or click below. We offer free estimates on all our services in Joliet, Plainfield, Naperville, Bolingbrook, Romeoville, Mokena, Homer Glen, Frankfort, Shorewood, New Lenox, Aurora and surrounding areas in Chicagoland. 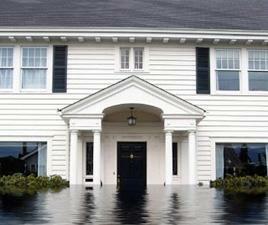 Professional water restoration in Illinois. We are available 24 hours a day, seven days a week, all year long to provide you with water damage restoration services right when you need them. For a 24-hour emergency service, you can reach us by phone at (630) 537-0276 or contact us online today!